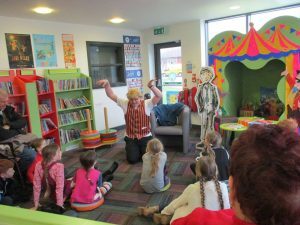 It had been a while since my last library session so it was great to visit Moor Park Library to share some stories. The fact the event coincided with Valentine’s Day just proved my love of libraries! 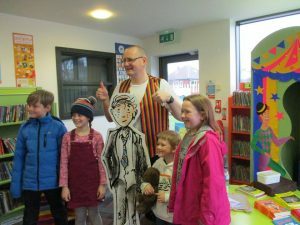 I put on the storytelling waistcoat to share a couple of the Tales with a bumper crowd. 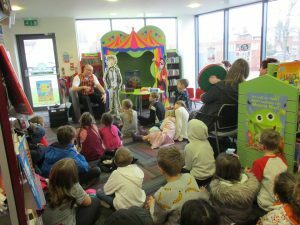 The children (and their adults) listened fantastically well throughout and it was an absolute joy to perform the Tales. They also laughed at all the right parts, which is always great! It was lovely to conclude the session by signing some books and getting involved in some photographs. 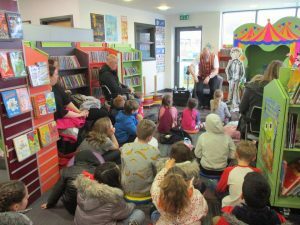 Big thanks to Blackpool Libraries for hosting and promoting the event and all the adults and children who came along.